Who will blink first? As the Brexit phenomenon drains down to its imminent endgame, it has begun to resemble a real-lfe Quidditch contest, with each side egging on their designated Harry Potter to conjure up political magic. One wonders who among them might be perusing the pages of 'The Prince' for inspiration. The legendary treatise written more than 500 years ago by Florentine bureaucrat Niccolò Machiavelli has enshrined itself as a modern byword for craftiness and duplicity. As relevant today as it was for the ruthless 16th century de Medici dynasty, Machiavelli said "a prudent ruler cannot, and must not, honour his word when it places him at a disadvantage". Such a realpolitik attitude is necessary "because men are wretched creatures who would not keep their word to you, nor should you need keep your word to them." In an ethos that has doubtless found enthusiastic followers amongst the 21st century power-brokers in Brussels, Westminster and Stormont, the Machiavelli recipe for political success recommended that "one must know how to colour one's actions to become a great deceiver". A list of acolytes of The Prince's teachings is a roll-call of history, with Rousseau, Napoleon, Stalin, Mussolini and Churchill all enthralled by its diplomatic chicanery. Louis XIV called its pages his "favourite nightcap", and Hitler kept a copy at his bedside right to the final nights in the Berlin bunker. Éamon de Valera discovered its teachings during his imprisonment at Lincoln Jail, and, when asked years later by Richard Mulcahy for advice about a career in politics, the Long Fella replied: "Begin your education with 'The Prince'." Indeed, I remember during my own school days, when our whole Leaving Cert year brandished 'The Little Red Book' as the epitome of rebellious cool, until an elderly Jesuit one day handed me his copy of 'The Prince' with the advice: "This may do you more good in life than the words of Mr Mao." Regardless of how paltry your interest in politics might be, it's impossible not to commend the timeless counsel ladled out by Machiavelli - cunning instruction probably writ large in invisible ink across the sacred halls and corridors of Leinster House. "The first method for estimating the intelligence of a ruler is to look at the men he has around him," the Florentine sage suggested when sizing up the opposition, adding: "It is much more secure to be feared than to be loved." Ironically, Machiavelli might never have written 'The Prince' had he himself not suffered in the changing tides of 16th century Italian politics. Imprisoned, tortured and eventually banished from Florence, he turned to writing as a means of earning a crust. Warning about ever-shifting allegiances and the "ungrateful, fickle liars and deceivers greedy only for profit", he urged that "the wise prince must be a fox in order to recognise traps, and a lion to frighten off wolves". And it shouldn't take you too long to conjure up a suitable Irish political face to match that particular statement. Never making the merest apology for the brutal exercise of power, Machiavelli's centuries-old words seem almost tailor-made to address the current 'border backstop' when he advised: "The promise given was a necessity of the past, the word broken is a necessity of the present." 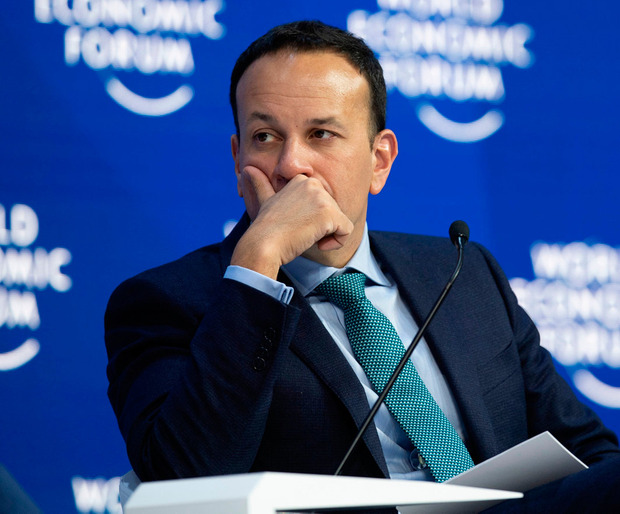 Leo Varadkar's efforts to prevent Ireland from becoming a morsel in a repugnant Brexit sandwich might do well to be guided by the key theme of 'The Prince': "Never was anything great achieved without danger - the end justifies the means." Let the games begin.